A note to all of our fans please submit your pictures to us for entry on to Fan Page. 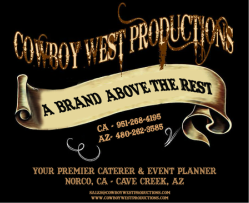 If you purchase one of our Cowboy West Productions clothing products please take a picture and send it to us. Happy Trails!